The electric bike Drafter is a lightweight e-bike with a centrall Read more.. The electric bike Drafter is a lightweight e-bike with a centrally placed battery for an improved weight distribution. The e-bike is sportive, agile and easy to operate. 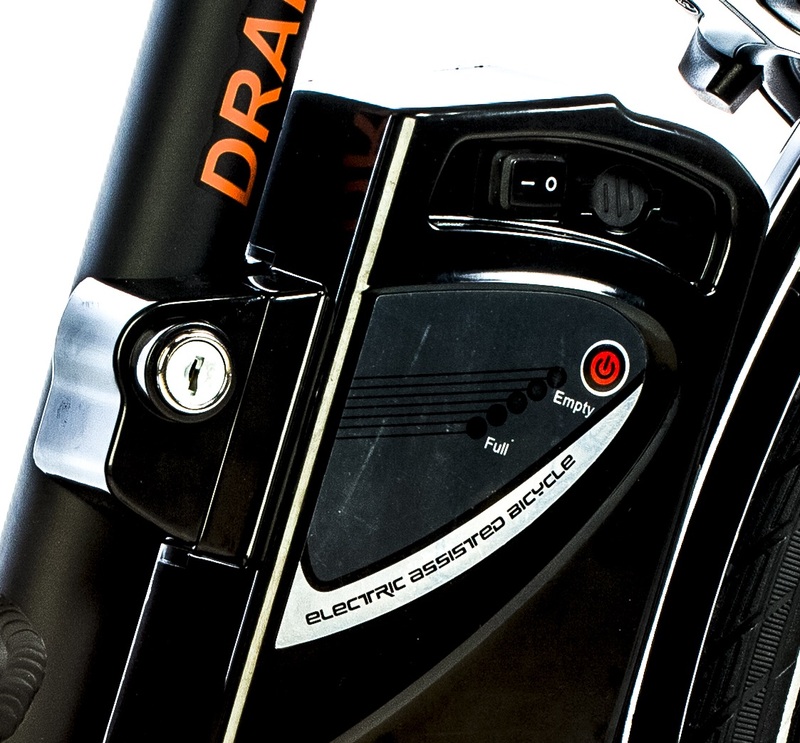 The Drafter is equipped with a powerful 250W rear wheel motor from the A-brand BAFANG. With an aluminum frame, smooth front fork suspension and a strong 36V Panasonic battery, this e-bike is your ideal travel companion for long rides or to commute to your work! With the powerful motor you cycle effortlessly against strong winds or up a steep slope. Electrically assisted you easily reach a range of 80 km.battery is removable and can be secured with an integrated lock. The Lacros Drafter with rearwheel motor provides a very powerful support in every situation, such as long distances, against the wind or against hills. The 250W motor from Bafang is powerful enough and very reliable. In combination with the 9 Shimano gears and an efficient sinus rotationsensor, the Lacros Drafter has a very natural cycling experience with electric support. 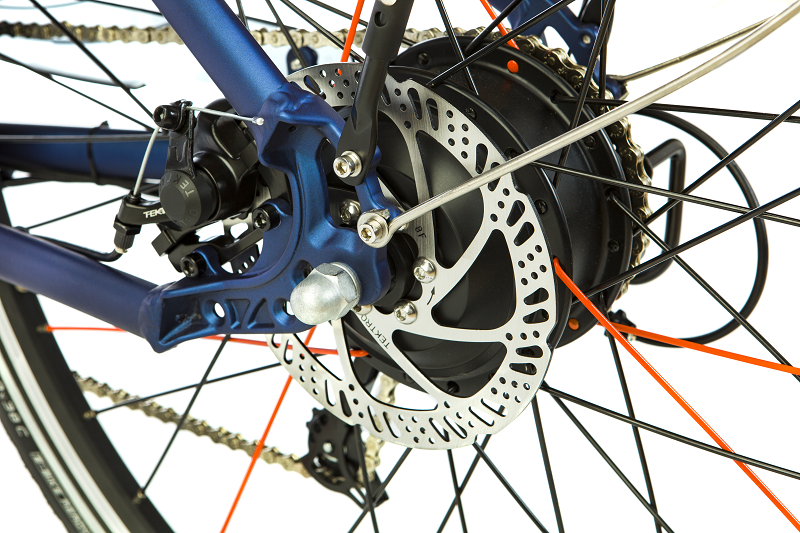 The front and rear disc brakes of the Lacros Drafter require little maintenance. 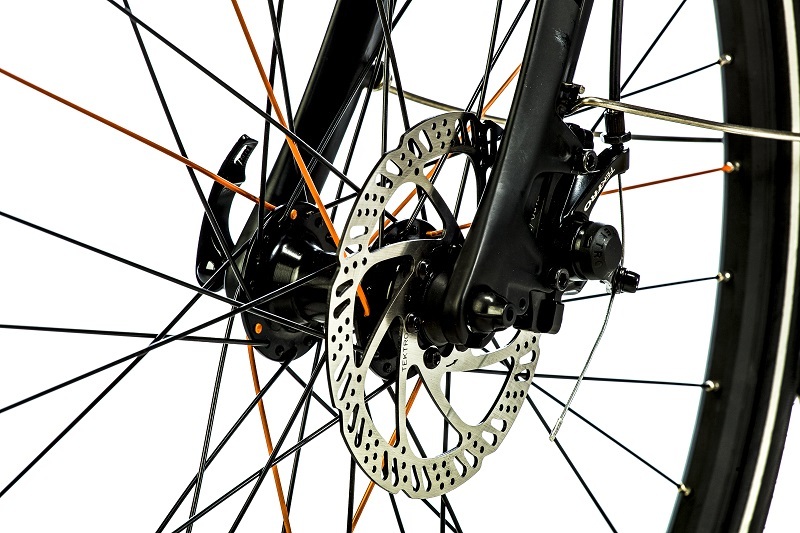 Disc brakes are often more powerful and brakes less abruptly compared to a rim brake. The Lacros Drafter is equipped with a 12.8AH/36V (460WH) Li-ion Polymer battery from Panasonic that is light, powerful and durable. The 12.8AH battery has a range up to 80 kilometers. The battery is removable and can be locked. A charger is included with the bike.